Ultra-lightweight stretch-woven fabric lets you move. 4-way stretch fabrication allows greater mobility in any direction. Moisture Transport System wicks sweat & dries quickly. Side zipper. 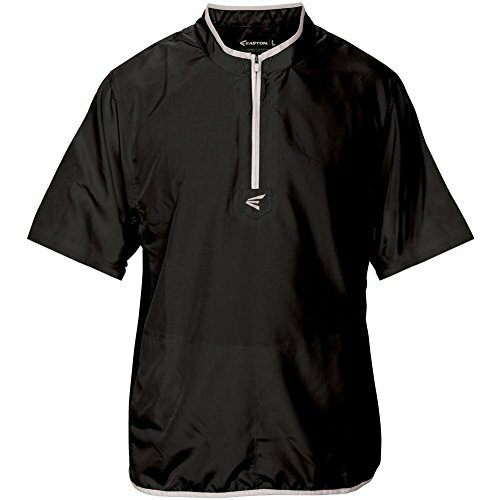 The Mizuno youth Comp short-sleeve batting jacket features lightweight woven performance fabric with dynamotion fit designed specifically for Baseball motion. Wind and water resistant. Side seam pockets. Mizuno Runbird heat transfer on left sleeve. Runbird logo heat transfer on rear neck. XONE YOUTH SLUGGER BATTING CAGE PULL-OVER with 1/4 ZIP. Features Stretch Elastic Fabric inserted in Shoulder area, X-Dry Moisture Management System, Soft Light-Weight Wind Resistance. Louisville Slugger logo on Right Chest with a 100% NEW SOFT MICROFIBER POLYESTER. Available in Youth Sizes: YS, YM, YL, YXL and Color: Black, Navy, Red, Royal, Forest Green, Burgundy. 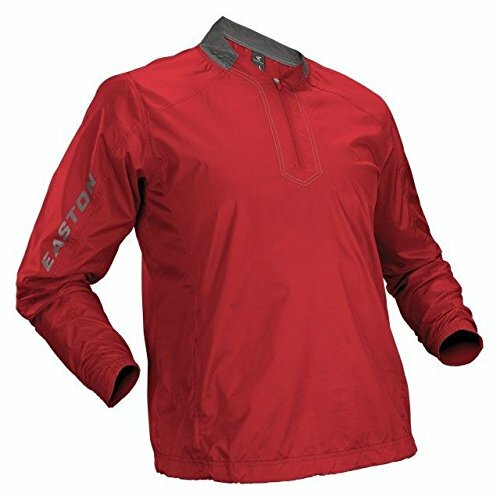 This jacket has a 100% nylon water repellant Taslon outer shell and a 100% eXtreme mesh Cationic colorfast polyester with moisture management finish liner. 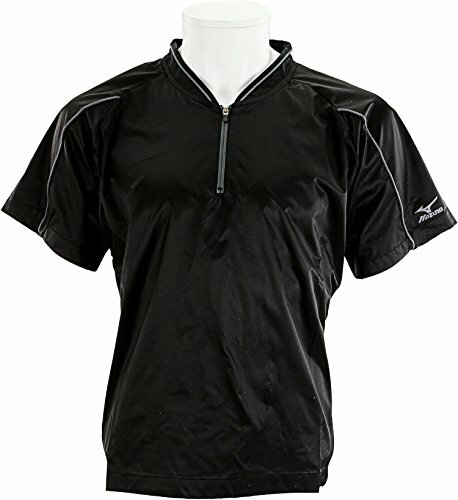 It features a solid color, water repellant outer shell body with a single row of white piping from neckline to under sleeves on both front and back. Other features include tricot mesh inside liner, set-in matching body color rib v-neck, covered elastic sleeve cuffs, and straight hemmed bottom with pull cord and barrel for closure. Dynamotion fit designed specifically for baseball motion. 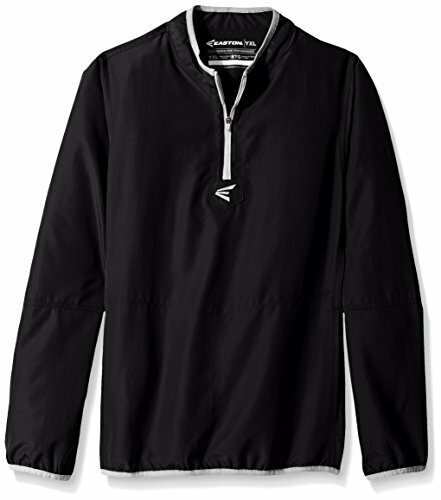 Wind and water resistant construction. Mizuno Runbird logo on back of neck and sleeve. 1,000mm water resistant. If you're looking for a high quality athletic shell at a great value, the Easton Magnet Batting Jacket is for you. 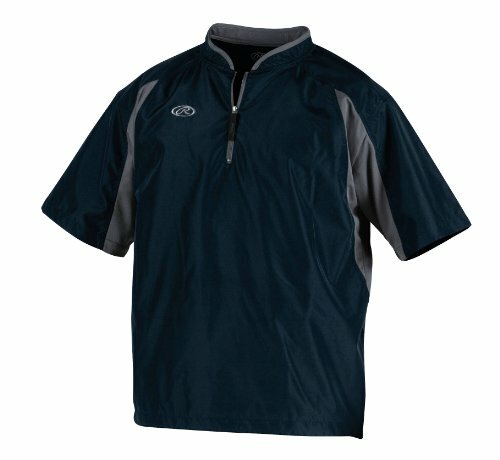 Utilizing a high quality 100% microfiber material, 1/2 zip front and draw cord bottom this is a great piece for any athlete. 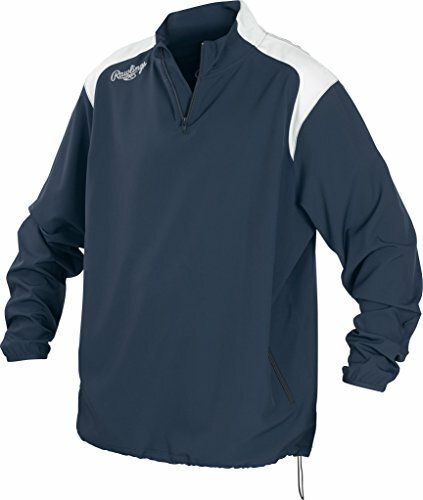 The Rawlings Youth quarter zip long sleeve Baseball jacket is the perfect team uniform accessory. 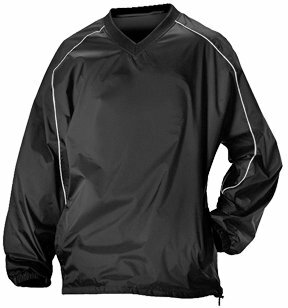 Great as a warm-up uniform or just everyday playwear, this Baseball jacket features a 95 percent polyester and 5 percent spandex blend designed to be durable, comfortable, and wrinkle resistant. 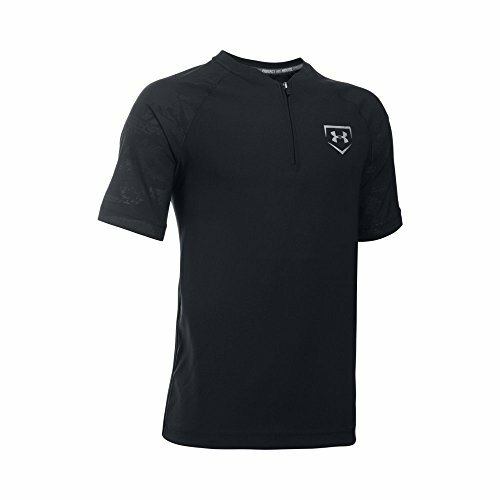 The quarter-zip design goes over hats and jerseys easily, making it simple for you to put on and take off the jacket. Two zippered front pockets provide ideal storage for cell phones, earbuds, or even hand warmers for those cold evening games. The straight hem looks great untucked, and the drawstring waist cord allows young players to adjust the fit as they grow. 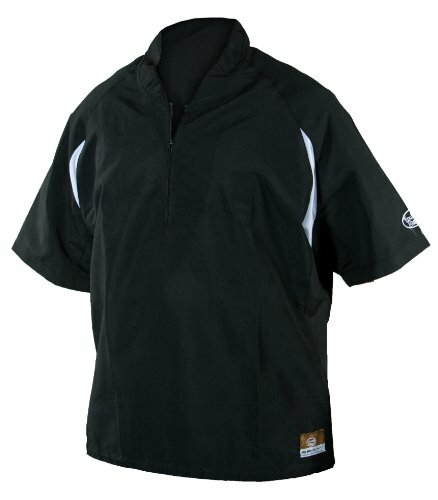 The collar and white inserts give this Youth Baseball jacket a professional look. The Rawlings Youth quarter zip long sleeve Baseball jacket is available in six colors with white accents: Scarlet, navy, gray, dark green, and Royal Blue. Copyright © Wholesalion.com 2019 - The Best Prices On Youth Baseball Jackets Online.